The Hal Leonard Premium Recording Pack 2017 includes all the quality components to start a recording studio! And, this special bundle is an incredible deal, with huge value! At first glance, this Premium Pack looks nice like, “Oh, isn’t that a nice bundle….” But wait! This deserves a much closer look under the hood because there’s so much more here than a casual perusal of the bullet points would indicate—REALLY! Anyone who is showing this package to someone needs to hear what I’ve discovered about the contents of this super-powerful set of recording tools. As a Training Specialist for Hal Leonard Corp., an author, the owner of a production studio, I have a ton of gear around my place. It has accumulated over time, plus I can usually get something to review if it looks interesting. When I saw this bundle, I was immediately struck by the fact that I had all of it right here and had developed some relatively refined and tested opinions about everything in the Pack. What I have discovered should prove to be valuable to those who follow this blog. First thing: CONGRATULATIONS iConnectivity for being nominated for a TEC Award for the iConnect Audio2+! That’s an amazing honor! This nomination speaks loudly about the quality of your company and the products you manufacture! I didn’t know you were in the running until I got my ballot in the mail this morning! Obviously, I was impressed with your accomplishment because the rest of my comments about the Audio2+ were made prior to knowing about this nomination. Way to go, iCoonnectivity! On first glance, this is a nice looking interface. It’s small and lightweight and it feels nice as you put it in your bag to head out into the world. But, if you look just a little closer under the hood, you’re struck again with, “What the heck? !” Not only is this a 2-input, 4-output (6-outputs counting the discrete stereo headphone output) digital interface but it also has classic 5-pin MIDI in and out jacks plus one of the coolest features I’ve seen in a small interface: YOU CAN CONNECT TWO COMPUTERS or, a computer and an iOS device like your iPad or iPhone, because this doubles as an iOS interface! Want to use your favorite IK Multimedia sampler app or your Line 6 guitar processor from your iPad along with your computer DAW. No problem! Plug them both into the interface and everything links together! The app that controls the Audio2+ interface connects everything and routes all the signals. So, using the iPad as a sound source through your DAW or connecting MIDI to the Audio2+ and playing the synth sound from your iPad and recording the audio from that performance back into your DAW is no problem. This interface offers a world of possibilities for creativity involving two computers or a computer and an iOS device—amazing! Plus, it’s a very efficient and easy-to-use interface for either your Mac/PC or iOS device separately. Congratulations Blue Microphones for your 2017 TEC Award nomination for the Bottle Mic Locker! This cardioid condenser mic from Blue Microphones is an incredible tool at a super-reasonable price—just north of $100 MAP! Every basic recording kit needs to include an excellent-sounding microphone—the Spark fits that description. This is a very capable microphone! It delivers a high-quality sound, is solidly built, and it looks cool. The Spark in this Pack connects to an interface or mixer with a standard XLR connector but Blue also offers the Spark Digital, which connects to a computer via USB. If you want the best of both worlds—and more—Blue also offers a handy little gadget called the “Icicle” that receives the XLR output from any microphone and converts it to USB that can be plugged directly into your computer. I first discovered the Spark a couple years ago when a good friend, who was looking for a mic for his home studio, sent me a link to a YouTube video that compared the Spark to some very high priced mics—most of which I own. The Spark held up extremely well in the video and I was anxious to test it out when I got the one I have here. 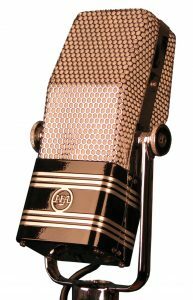 For anyone who has a lot of high-priced mics at their disposal, setting the Spark up and giving it a few real-life recording tasks can only result in one response, “What the heck!” I’m picky about mics and I’ve used most of them extensively but after hearing the Spark and some of the other inexpensive mics on the market, I’ve had to revise my snooty attitude. This is a great-sounding mic—at any price! A couple decades ago, a mic of this quality would have been priced at several times the price of this entire Recording Pack. Go Blue! The mic won’t be a stumbling block for anyone who uses this bundle. The Spark sounds clean and clear in the high end and accurately captures the subtle transients in any sound. It also is very full in the low end. There’s a button called the “Focus Control” button on the back of the mic—it’s cleverly camouflaged, being the same red color as the mic body and not being labeled. With the Focus Control button in the “in” position, the mic is pretty flat throughout the frequency spectrum but with a bump down around 80–90 Hz. Oddly enough, over the rest of the spectrum, it struck me that, if I had a perfectly flat mic and wanted to clean the sound up a little bit, my EQ settings would probably result in a very similar curve. I have no idea if that was intentional or just a result of the physical design of the head, but in any case, the inherent curve explains a little about why the mic sounds so good out of the box. The low-end bump helps the mic sound full from greater distances and it also provides a little extra boom-boom when used in close proximity. Setting the Focus Control button to the “out” position, rolls off the low-end bump so the sound of the mic focuses more on the mids and highs. In this price range, not many mics have this low-frequency roll-off control so that’s a bonus; but, the fact that the “in” position has a bump in the low end really makes it feel more focused on things like speech, singing, and mid-range punch when the button is switched out. Obviously, I like the Spark and I recommend it highly. In the microphone world of a couple decades ago, a mic of this quality would have been priced at several times the price of this entire Recording Pack. Go Blue! Reason is such an impressive DAW software offering! It has grown to be a favorite for many, whether recording vocals, MIDI, instruments, or virtual instruments. The virtual instruments that are included sound great and offer tons production possibilities. They are very relevant for a wide range of productions in virtually any genre but they’re especially powerful when producing modern pop, dance, and EDM genres. The way Propellerhead designed their plug-in structure, there are really no obstructions to an outrageously creative mind. If you want to expand the sounds you’re getting on the front panel, simply the virtual instrument it around to see the back patch bay (on-screen, of course) and let your inner mad scientist run naked through a sonic panorama. Like it says, the Essentials version of Reason includes all the essential tools needed to create a full-blown musical production. It’s a major bonus in this package that Reason plays well with others. Programs like Pro Tools and Studio One, can easily work together with Reason to expand the creative potential of both. I work a lot in Pro Tools and Studio One but, creatively, everything jumps to the next level when I use a plug-in called ReWire to link either DAW to Reason. Gaining access to the amazingly powerful sound shaping tools in Reason augments everything about the host DAW. 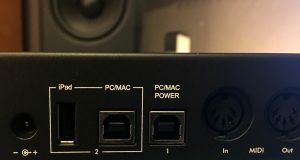 Whether I build the basics in Pro Tools or Reason, I always get a lot out of the ReWire connection. Also, with version 9, Reason now ReWires together with Ableton live! It’s a great time to be alive. Congratulations Avid for your 2017 TEC Award nomination for Pro Tools, Pro Tools Dock, and the Pro Tools S6 console! And that brings us to Pro Tools First. I see this DAW as a gateway drug. Anyone who catches the Pro Tools bug (like 90+ percent of the commercial studios in the world) will eventually end up owning the full version. 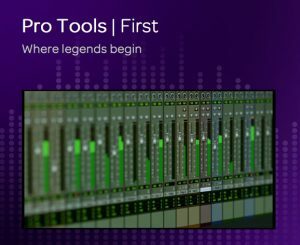 Pro Tools First is the free version but it has an essentially full feature set. The limitation is the maximum track count. It’s limited to 16 tracks rather than the 128, 256, 768, etc. of it’s bigger brother versions. However, it includes the Collaboration feature, which was only recently released in version 12.6. Collaboration provides an environment where near real-time collaboration over the Internet is a reality. That’s amazing! Want to get your buddy that’s a half a mile away to throw down a bass guitar track on your new tune? Start a collaborative Project, send a text to ask him to log on, talk through the track, send your tracks or stems directly to him, let him record the bass track and send it directly back to your Project—done! And that happens all right within Pro Tools! There’s no need to go anywhere else for any part of the collaboration! Want to do the same thing with someone that’s on the other side of the globe? No problem. Just follow the same procedure! Even though Pro Tools First is the free version, the power that is represented by its use along with Reason can’t be understated. Getting someone on the right path and creating music the way that it is done at the highest level has incredible value! The workflow that includes Reason and Pro Tools is the same that any major recording artist might use anywhere around the world. The Z-series headphones from Samson are quite impressive. Soon after I got mine, I had a recording session and grabbed a black bag out of the headphone bin to record a guitar track. 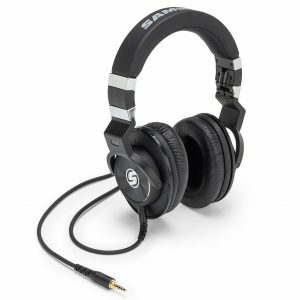 I have several sets of a particularly popular studio headphone around and they all are stored in a black leather-ish bag like the Samson’s. I simply put the phones on and started recording and was instantly struck by how good the phones felt and sounded. I had unknowingly grabbed my Samson phones and was struck by how much I liked them. One might think that the headphones that come in a bundle might not be of very high quality and they might not sound good. Not the case here at all! These are nice phones, they sound good, they’re well-constructed, and they feel good when you put them on. Congratulations to Hal Leonard Books for your TEC Award nomination for Sylvia Massy’s great new book, Recording Unhinged! Getting Started with Music Production is the entry-point into the Hal Leonard Recording Method. 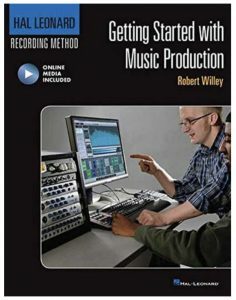 Author Robert Willey teaches in the classroom and has developed an excellent step-by-step process for recording music. This text will get anyone who’s interested in capturing musical creativity, started off on the right foot. Congratulations Groove3.com on your nomination for the 2017 TEC Award for The Blackbird Academy Foundation Series. Groove3.com provides some of the best training videos available. They’ll get anybody up and running with Reason and Pro Tools First in short order and they also offer a myriad of instrumental and recording tutorials. This Hal Leonard Premium Recording Pack provides a virtual playground for the creative mind! With Reason and Pro Tools First, the songwriting, sound design, beat-making, music producing, and collaborative potential is endless. Many world-class recordings have been produced over the years with a fraction of the potential that this bundle offers! Your audio mix at a performance usually doesn’t need to be loud to sound full. Keep in mind that the human ear does not have a flat frequency response across the frequency or volume spectrum. Your ear hears best at a frequency level between 1 and 4 kHz, especially at volumes below 80 dB SPL. Elevated Sounds in this range will seem louder than elevated frequency levels below 1 kHz or above 4KHz. This means that mixes created at identical signal levels (readings on the output meter) sound louder or softer depending on the frequency balance across the audible spectrum. Low frequencies, below about 150 Hz, tend to round out the sound – they help the sound operator create a full-sounding mix. A mix with clean highs above 7 or 8 KHZ and warm lows below about 150 kHZ typically sounds good at reasonable levels – full, without being loud. Previously posted at Voice Council Magazine. 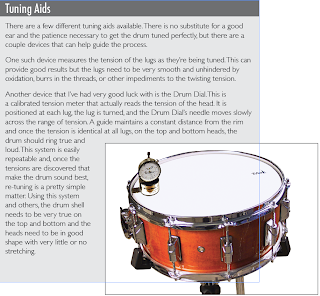 To get good drum sounds, it’s necessary to be familiar with drum tuning and dampening techniques. 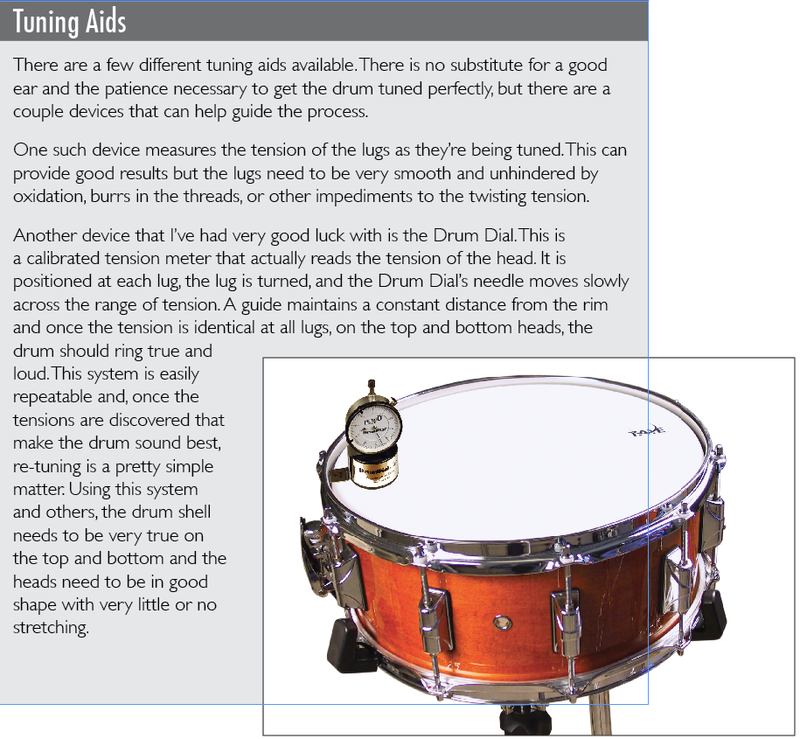 A bad-sounding drum is nearly impossible to get a good recorded sound from. A good-sounding drum can make your recording experience much more enjoyable. If the drum heads are dented and stretched out, cancel the rest of your appointments for the day. You’ll be spending a substantial amount of time getting an acceptable drum sound. Tuning the top head to the tone you want. Making sure the pitch is the same all the way around the head by tapping at each lug and adjusting the lugs until they all match. Duplicating the sound of the top head with the bottom head. If the head isn’t tuned evenly all the way around, it won’t resonate well and you’ll probably hear more extraneous overtones than smooth tones. Many drummers tune each tom to a specific pitch. In fact, inside the shell some drum manufacturers even stamp the name of the note at which the drum is designed to best resonate. When tuning drums to a musical note, keep the configuration of the band and the type of music in mind. In a guitar band, the most common keys are E, A, G, D, and maybe C. If the drums are tuned to notes that are common to those chords, such as A, D, E, and so on, the toms will typically have good tone but the fact that the guitars and keys play those notes often will result in strong sympathetic vibrations. Although the vibrations are strong, they will reinforce the tonality of the music and they’ll blend well with the mix. Jazz bands typically play in keys with a lot of flats (Bb, F, Eb, Ab, and so on). In this setting the drums might blend better if tuned to common notes in these keys, such as Bb, F, Eb, Ab, and so on. It is possible to minimize sympathetic vibrations by tuning the drums to notes that don’t sympathetically vibrate as strongly in the normal genre-specific keys. For example, tuning the drums to F, Bb, Eb, and Ab in a guitar band would minimize the ringing toms. The only problem with this approach is that the pitch of the drums might fight the tonality of the music—the listening audience could feel like something was always a little off, or that the vocals or primary instrument was out of tune. It does matter how the drums are tuned. Every great drummer will be aware of how the drums are tuned and how they interact with the rest of the musical ensemble. In addition, every great recording engineer must be equally aware of the drums, their sound, their pitch, and how they fit with the rest of the group in the mix. Did You Know That…Your Soundboard and Effects Should Be on the Same Circuit? After you’ve surveyed the venue, the staging is in place, and the stage layout is solidified, find a good power source and set up the AC distribution system. This is a very important part of the setup—it is often overlooked, poorly planned, or performed in random response to immediate needs. In a small setup, the soundboard and effects should ideally receive AC from the same circuit (the same outlet from the wall). This will help eliminate hums and noises caused by ground loops. In a large set up in a professional venue, there should be designated circuits for all audio connections. Often, these AC outlets are a different color than generic AC outlets. In North America, if you find a set of orange outlets and a set of white outlets, it’s likely the orange outlets have been specially configured and verified to provide exact phase and conditioned power. They’re often run through power conditioners to help eliminate noise and unacceptable variances in voltage. Ask the venue manager whether there are clean AC outlets specifically for audio connections. —This post previously published at Voice Council Magazine. Did You Know That: Your Mic is a Unique Creature? Almost any microphone responds to all frequencies we can hear plus frequencies above and below what we can hear. The human ear has a typical frequency response range of about 20Hz to 20kHz. Some folks have high-frequency hearing loss so they might not hear sound waves all the way up to 20kHz, and some small children many be able to hear sounds well above 20kHz. For a manufacturer to tell us that their Microphone has a frequency range of 20 Hz to 20kHz tells us absolutely nothing until they tell us how the mic responds throughout that frequency range. A mic might respond very well to 500Hz, yet it might not respond very well at all to frequencies above about 10kHz. If that were the case, the sound we captured with that mic would be severely colored. —This post was previously published at Voice Council Magazine. Great vocalists do their best work when they feel comfortable and inspired on stage or in studio. I learned early in my career that I can get a lot more out of a singer by providing an intelligent and inspiring mix than I can by trying to get them to adjust their technique in the middle of a gig or recording session. The sound should be full and clean. In a live performance, this can be achieved by finding the right balance between the sound in the room and the sound from the monitors. It’s often better to start with the monitors at a low level so the vocals are actually being heard from the FOH system. Sometimes the monitors are so loud that the singer’s main speakers are hardly turned up, resulting in a sound that’s thin and ugly for the singer and muffled and ugly for the audience—that’s just not inspiring for anyone. Invite the sound operator on stage. The best thing the sound operator can do for the singer is get up on stage and listen to what you’re hearing. This is often necessary if you are not on the same page as your engineer in terms of vocabulary. Simply standing where the vocalist stands will typically reveal a simple solution to the adept sound operator. Have your own mix in the studio. In the studio, your mix is more important than the control room mix. I virtually always monitor the singer’s mix in the control room. This is really where I learned the importance of providing an inspiring mix—I discovered that, rather than asking a singer to pay more attention to intonation, I could just turn up or down the correct mix ingredient and, all of a sudden as if by magic, they were right in the pocket. I didn’t need to say a thing. Create an atmosphere that inspires emotion. It’s a given that singers should study and practice and know all about their vocal apparatus, but I’ve found that great singers sing best when they feel comfortable: when the lights are just right, when the candles are set perfectly, when the surrounding surfaces are warm and comforting, when they feel a vibe. All of these things may seem superficial and unimportant to the “inner geek” of the sound engineer, but singers are about feeling, soul, emotion and vibe. If you can make yourself feel comfortable in the studio and stage and your engineer provides a solid and inspiring mix, you’ll give your best performance every time. Build a good relationship with your sound engineer.Do whatever you can do to build a relationship with the sound engineer that is positive, friendly and warm – sound engineers need to reciprocate. When you know that your engineer is on your side and that they are confident in your abilities and talent, you’ll take chances and go out on a limb to try new things. Sometimes, these new things raise the level of the entire song, production, or performance. The importance of a supportive relationship between the vocalist and the sound operator can’t be overstated. Get a good sleep. OK this is not strictly a technological consideration, but tired singers struggle much more than rested singers. Rest, health, and good nutrition are extremely important ingredients in the performer’s tool kit – and contribute hugely to the quality of the resulting mix. Plugging in means making sure to avoid the lighting circuits. When you’re setting up for your gig, keep all lighting devices and fixtures connected to circuits that are isolated from the Audio AC supply. First, lights require a lot of AC power. In North America that means that each light can typically require 5 to 10 amps of 110-volt current. Combining lighting and audio equipment on the same AC circuit is a surefire recipe for blown breakers. Second, light dimmers and controllers introduce noises into the power supply. When any dimmer system is connected to the same AC circuit with an audio system, there is an excellent chance that dimmer variations will be heard as changing noise levels in the sound system. Although some dimmer systems do a reasonable job of isolating noises from the circuit, it is still advisable to always connect lighting equipment to circuits that are separate from the AC supplying your audio and musical performance gear. —This post was previously published on Voice Council Magazine.